A dreamy journey through the stormy seas of modern rocksongs and classic evergreens, always led by the wonderful and abysmally deep pipes of MajorVoice. 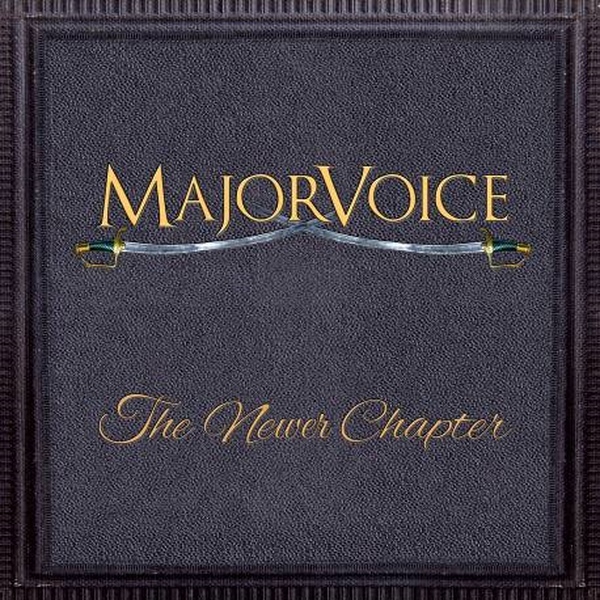 With “The Newer Chapter” the well versed captain MajorVoice gives a re-release of his debut record “A New Chapter” at hand. But who thinks, this would be the exact same album, is clearly mistaken. The already existing tracklist, beginning with the first own original song “Shot In The Silence” by MajorVoice, there’ll be 4 beautifully interpreted songs added. These are all performed in the classic-variants, with piano, cello and acoustic guitar, which MajorVoice has already presented on the “Stimme, Klavier & Ihr”-Tour and will do so again with Subway To Sally on their “HEY!”-Tour in March 2019. This is also the reason for finding a classical cover of one of Subway To Sally’s most famous songs – Eisblumen! In a gorgeous manner MajorVoice manages to bestow completely new facets onto this song with his voluminously emotional opera-bass. But the other three songs don’t fall short from this, as there is a new version of “Wonderful Life”, “When All My Cards Are Played” by MONO INC., as well as a marvellous version of the A-HA classic “Stay On These Roads”.